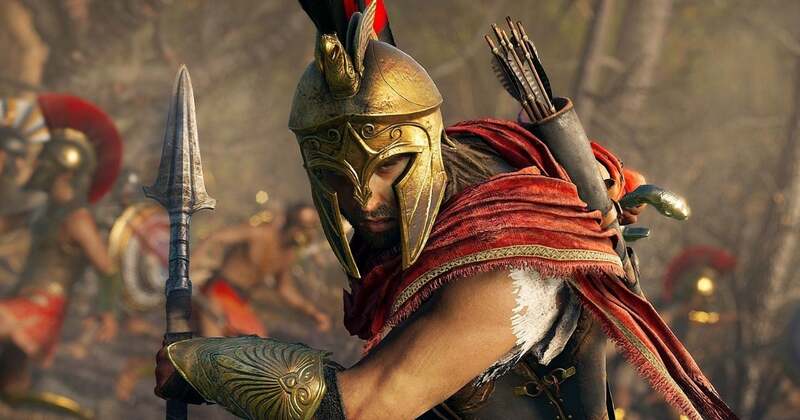 Assassin’s Creed Odyssey boasts several changes from the rest of the games in the series, some large like the recruitment system and others being improvements on preexisting features like naval combat. 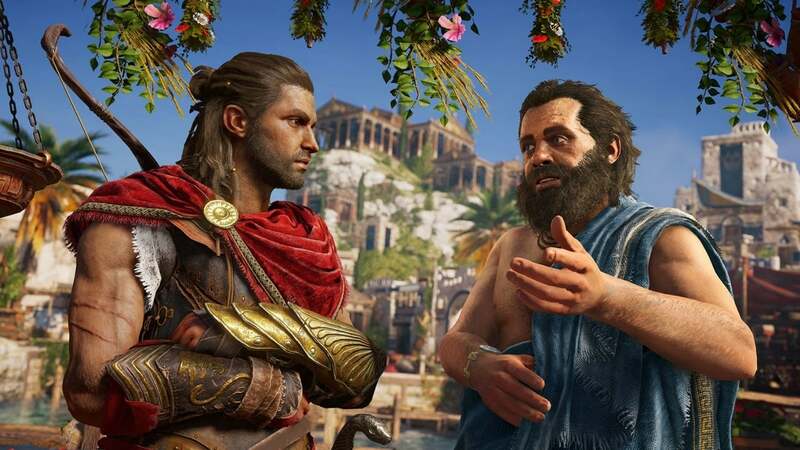 Following a longer interview that discussed the mercenary system that lets players recruit their enemies, Game Informer shared more information about Assassin’s Creed Odyssey that encompass smaller details that players can look forward to. 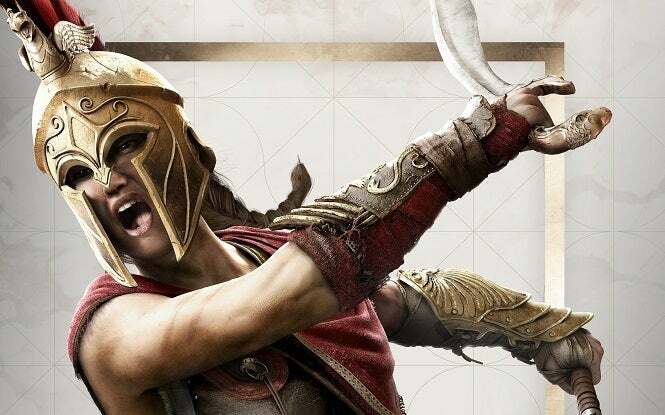 In an article detailing 15 different “random tidbits” about Assassin’s Creed Odyssey, Game Informer recalled some of the interesting details that it learned when visiting the Ubisoft studio. 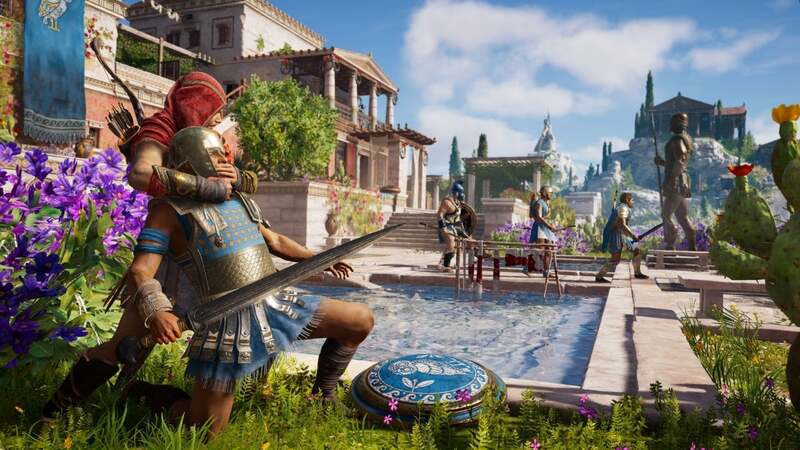 Some of those deal with NPCs that players will spend time with while others deal with gameplay and the open world of Greece that players can explore. The full list of random facts can be seen here with five of the most interesting ones and explanations from the developers found below. Games where players can wear armor, particularly helmets, occasionally have an option to toggle the headwear on or off so that players can benefit from the armor’s bonuses while still seeing their character. When it comes to spending time building a character that players want to keep looking at, the helmets often get in the way of this, though they’re hard to pass on due to the benefits. Assassin’s Creed Odyssey works around this by giving players the option to toggle the helmet on or off to get the best that it has to offer in terms of function and fashion. You can toggle the headgear, so even if you’re wearing headgear you still get the bonuses even if you don’t see it,” narrative director Melissa MacCoubrey told Game Informer. The healing items in Assassin’s Creed Odyssey and the rest of the consumables also work a bit different compared to past games. Players can now map different abilities to buttons with those effects having cooldowns, a change that’ll free up players’ funds to spend elsewhere. Improving on a problem that Assassin’s Creed Origins had, players won’t have to worry about revisiting an area that they’ve previously cleared and encountering enemies that are far beneath their new levels. While doing so allows you to breeze through these levels once again to get whatever you came for, it’s almost a nuisance having to take out the enemies that are so much weaker but still are hard to ignore. To fix that, Ubisoft has made enemy levels in these areas scale with players’ levels. This means that they’ll always be near the player level, something that Ubisoft said was a direct improvement from Assassin’s Creed Origins, though the levels of enemies in previous levels will never fully catch up with the player. Because of Assassin’s Creed Odyssey’s setting, much of what will happen and who players will encounter has already been recorded in history. 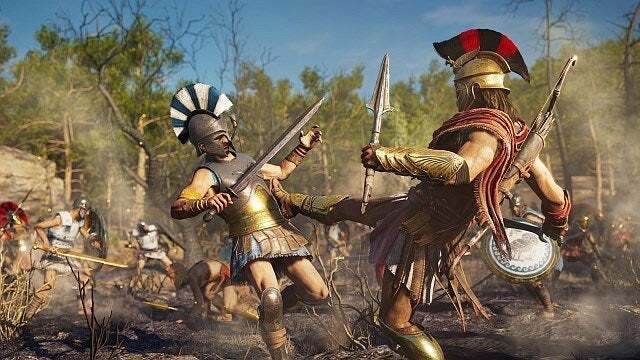 Philosophers like Sokrates and certain historical events will be features that some players and many history buffs will already be familiar with, something that Ubisoft said it’s tried to recreate as faithfully as possible. That’s not to say that other strategies won’t work though with Phillips explaining that you’ll still be dodging and rolling around like normal during combat. He added that the combat moves at a quicker pace, so players will have to remain active during fights to succeed.